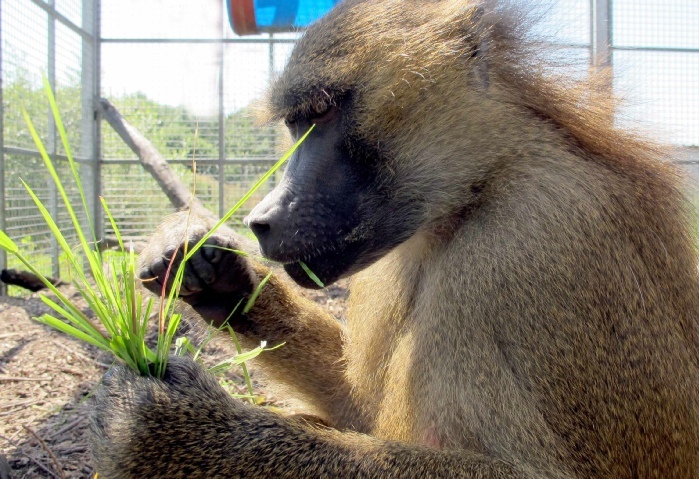 At Wales Ape & Monkey Sanctuary we have three separate troops of baboons rescued from as far away as Portugal, Ireland, and Beirut. 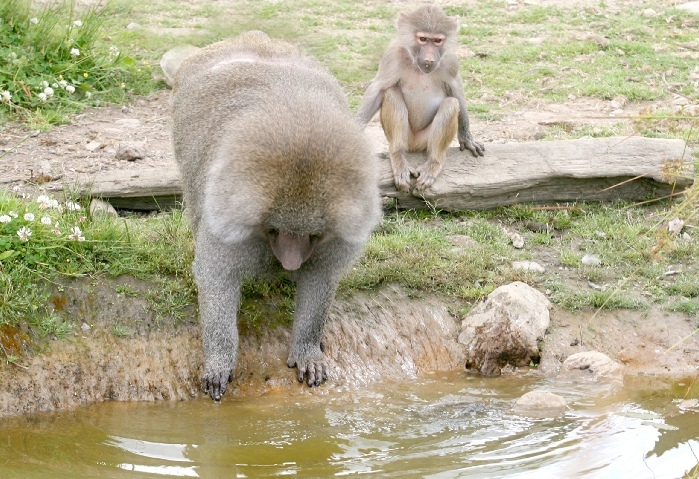 The airline “Emirates” have been of great assistance in helping us to bring many of our baboons to the sanctuary. 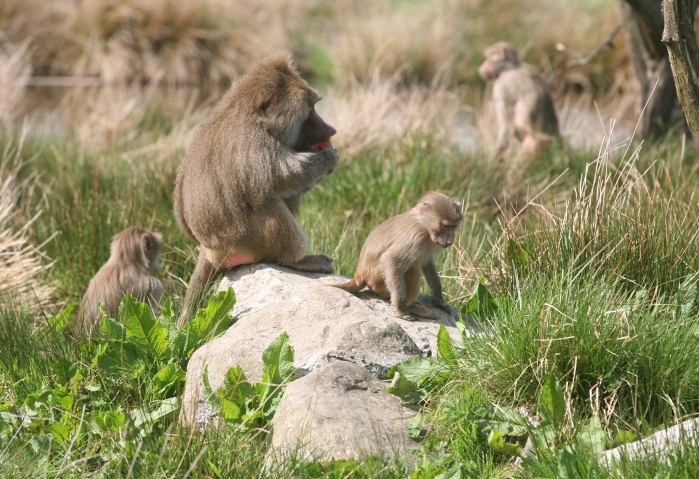 In the wild Baboons live in large groups or troops, sometimes, and particularly in the case of Hamadryus Baboons, containing hundreds of animals. Within the troop individual males collect and maintain a harem of three or four breeding females and create extended families which include their own offspring, plus any immature females that they can acquire from other families. Every group member occupies a position in the hierarchy and behaves accordingly. They are very social animals and share duties, which include looking after other members’ children. 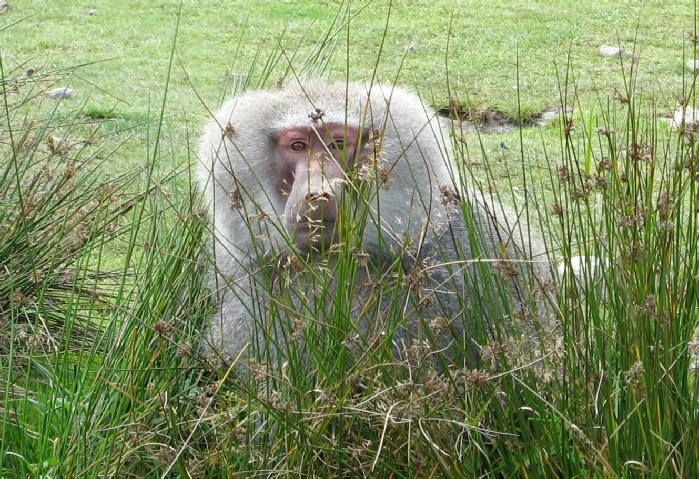 Baboons tend to live on the plains and savannas and so are essentially ground dwellers, but they will climb to reach fruits or to find a vantage point when necessary. They are omnivorous and will eat most fruits, fish, shellfish, small monkeys, hares, birds, small antelopes, sheep and goats. They are great scavengers and this often brings them into conflict with humans who’s resources attract them. When threatened or alarmed they yawn to show their large canine teeth, flash their eyelids and make gestures that clearly indicate their displeasure. 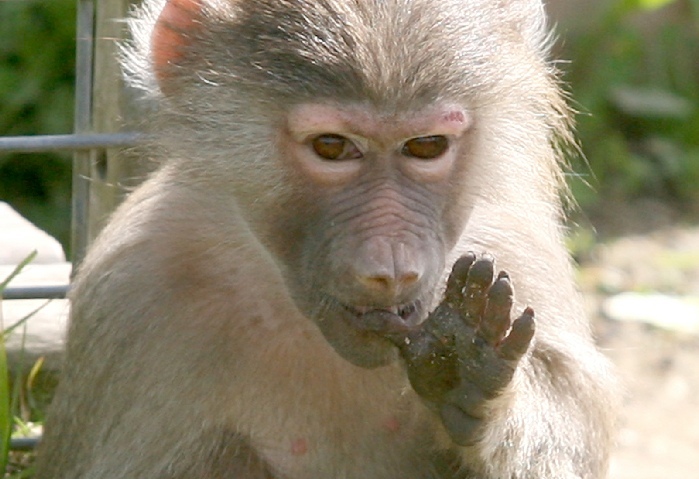 There are five recognised species of Baboon, plus at least two sub-species. They range in size from the small Guinea Baboon at 50cm (20”) tall and weighing around 4Kg (30lbs), to the Chacma Baboon at 120cm (47”) tall weighing 40Kg (90 lbs). Other species are the Hamadryus, Olive and Yellow baboons, plus the Kinda and Grey Footed sub-species. The Hamadryus males are particularly striking with their large bushy white manes and indeed there is noticeable difference in stature between the males and females in each species. 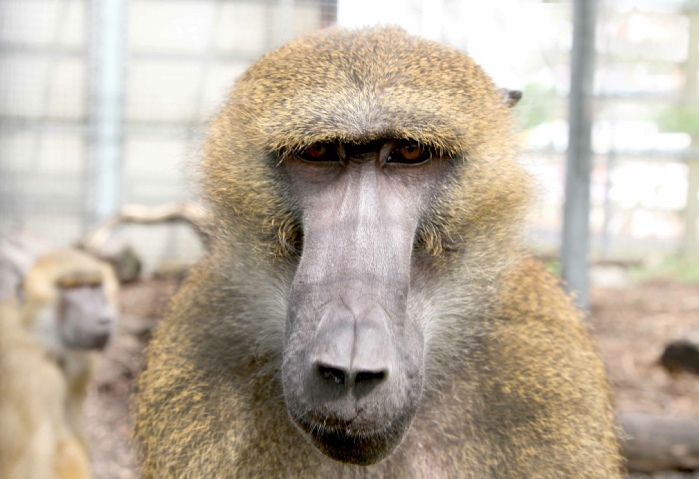 Drills and Mandrills are closely related to baboons and are the largest of all monkeys. 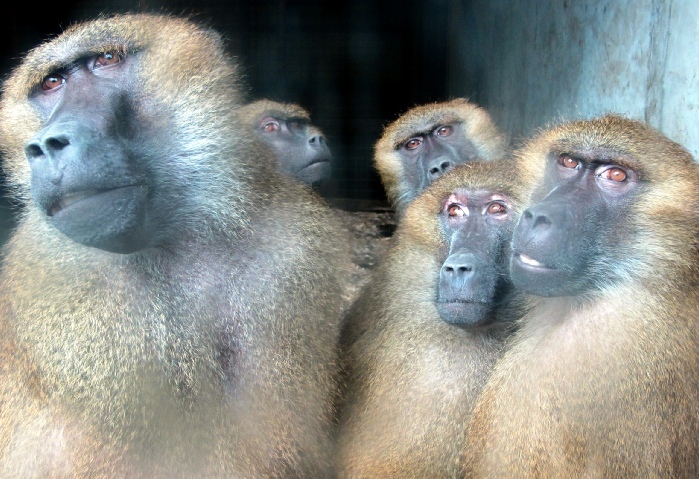 They were once classified as Baboons, but are now recognised as a different genus. Click here to read about Khan, Lily and their friends at the Sanctuary.